We were doing so well with the jet lag. Then “just a wee nap” turned into the disappearance of the whole day. 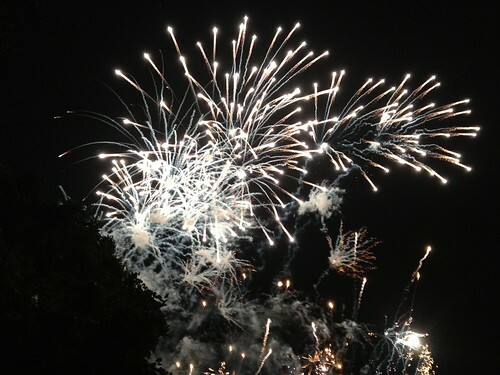 Thank goodness we did not miss the end of festival fireworks, which were spectacular. Our friends are very clever; not only did they queue for a space in Princes Street Gardens very early so we had an excellent view, but they also brought lots of delicious food and drink, including homemade sushi and gluten-free cupcakes. I was in heaven. Now that I am caught up with my own life again, I am off to attempt sleep.